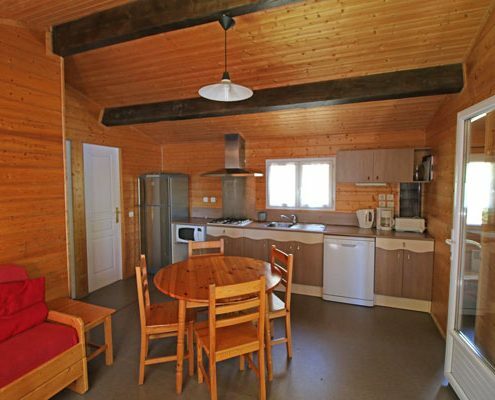 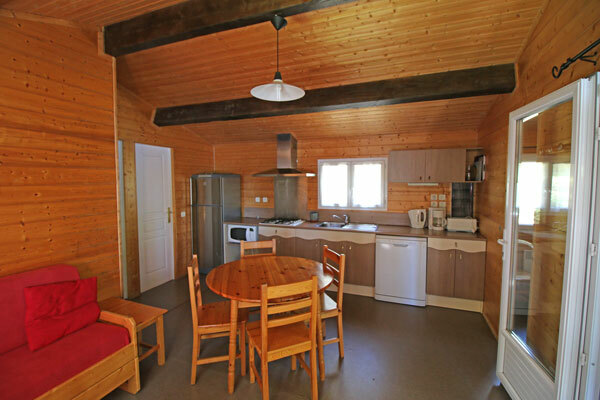 Our quaint and picturesque Burgundy holiday chalets are a real treat. 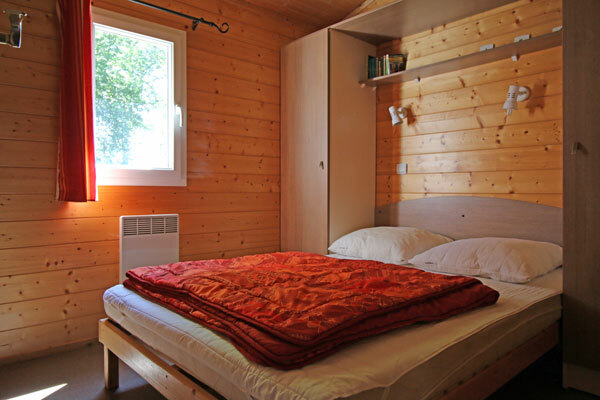 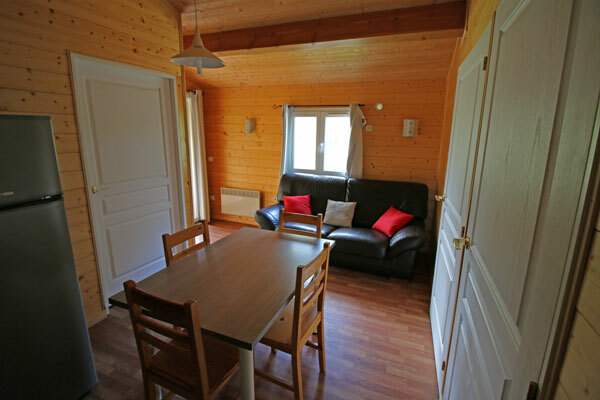 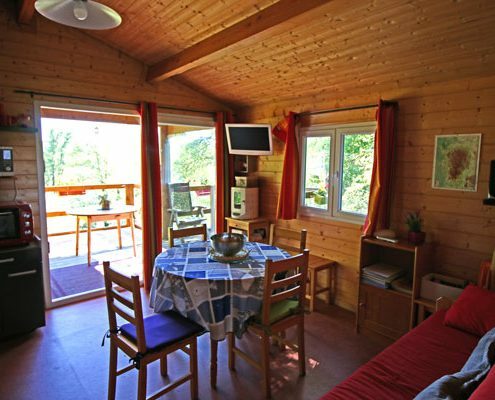 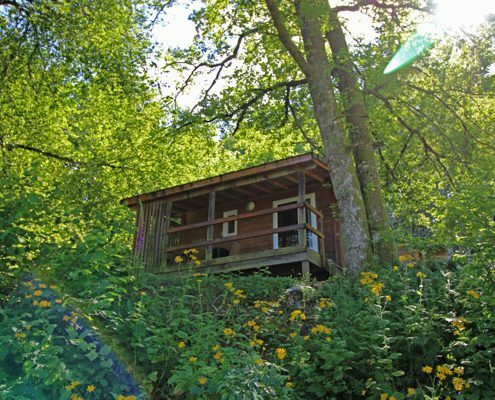 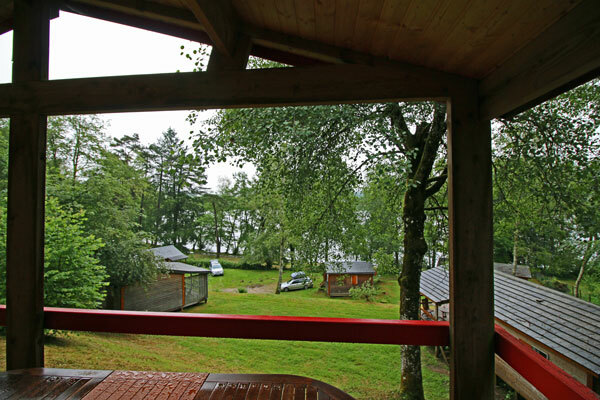 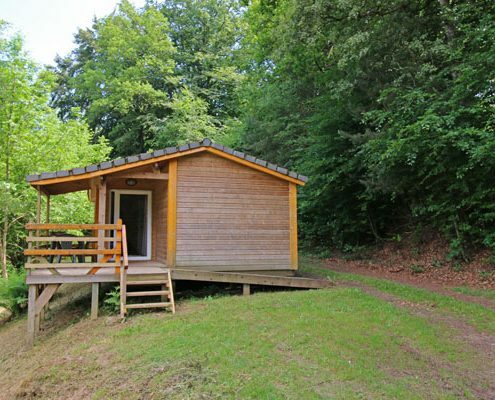 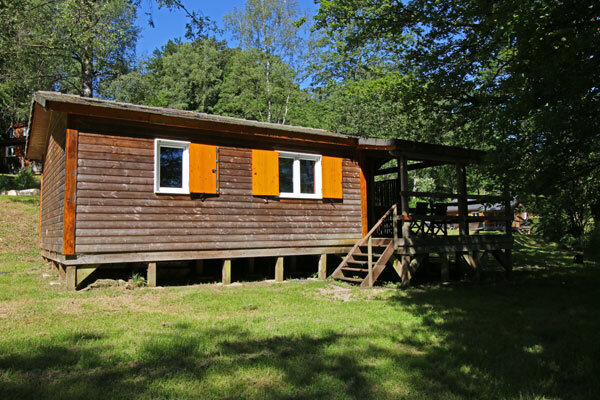 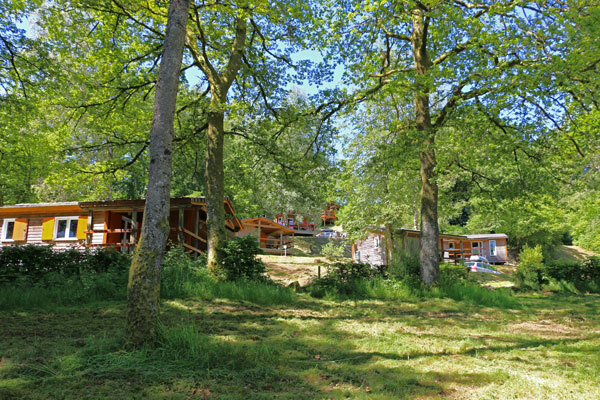 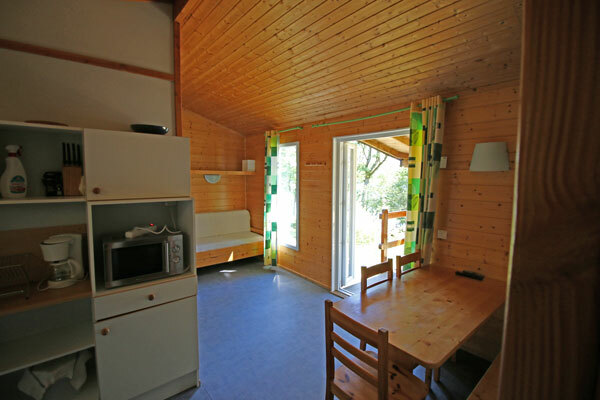 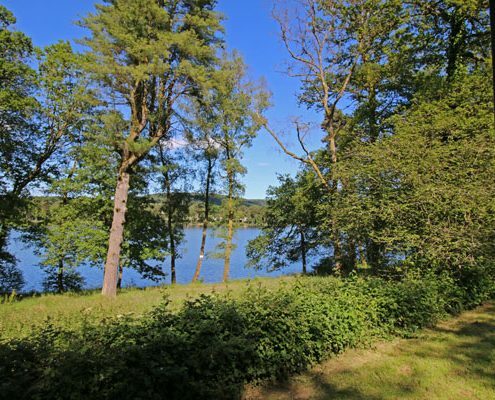 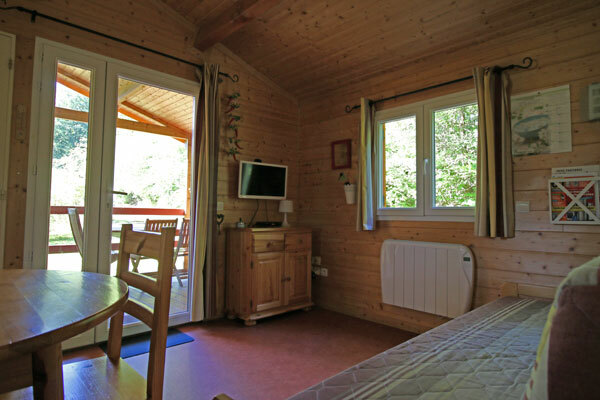 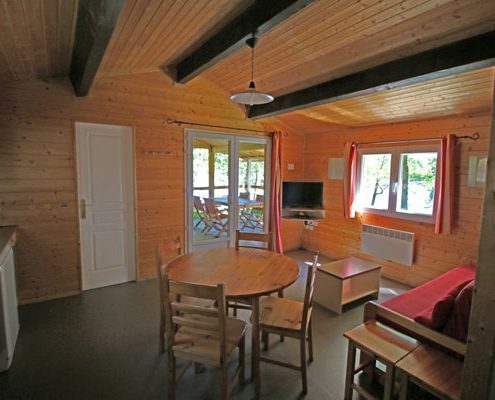 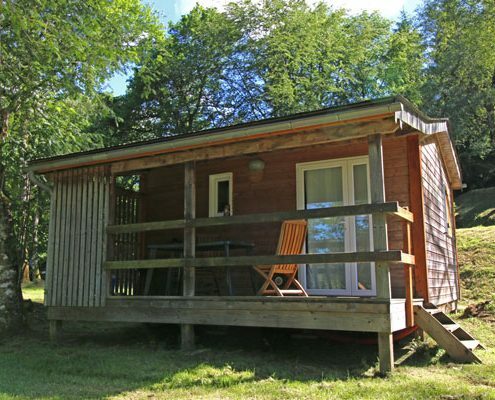 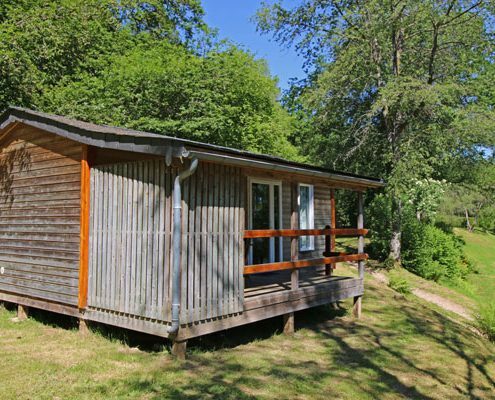 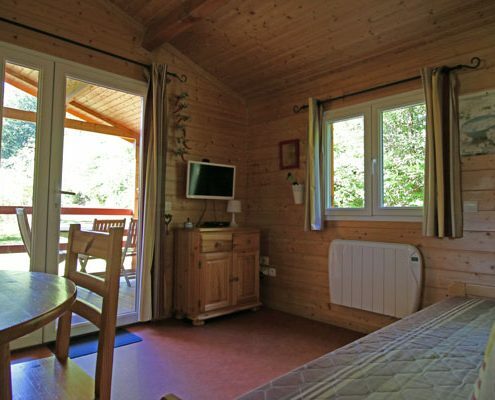 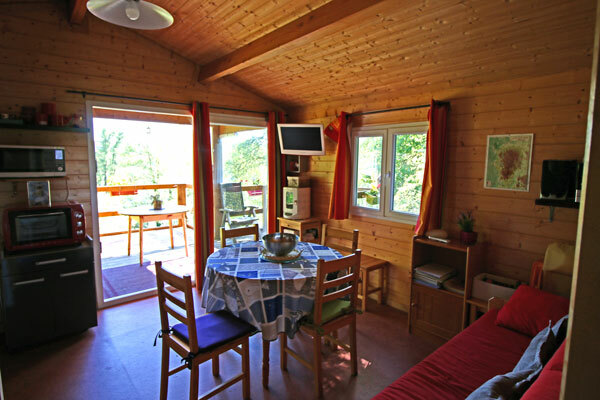 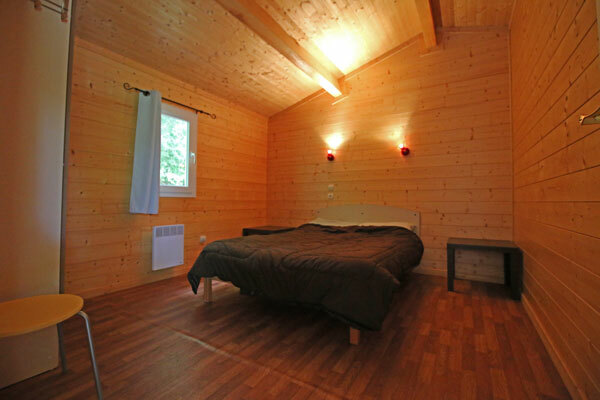 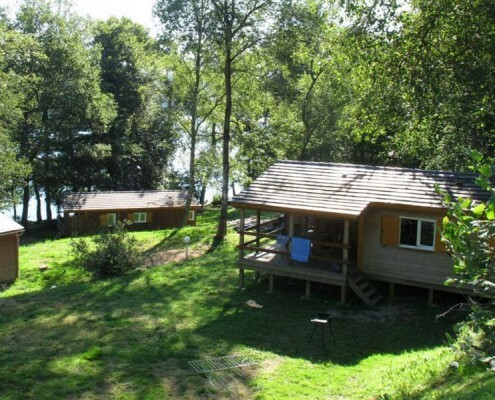 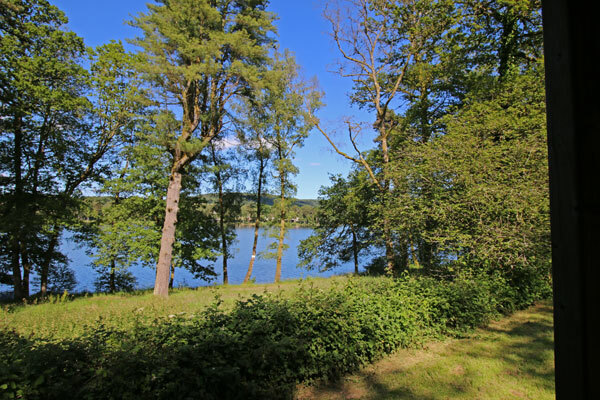 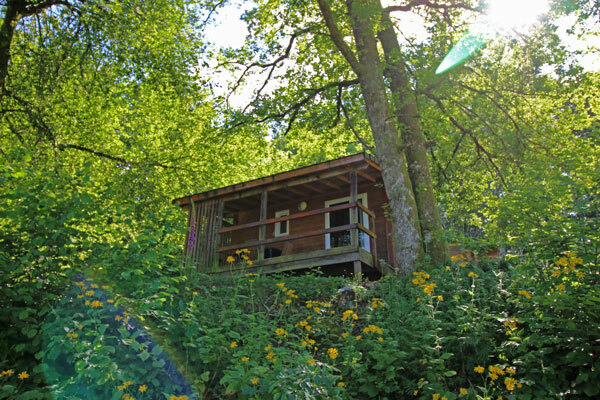 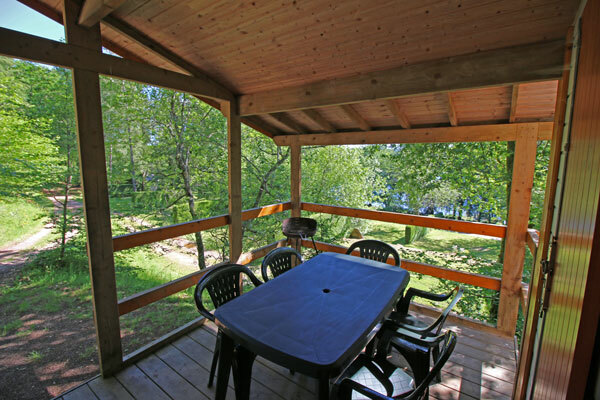 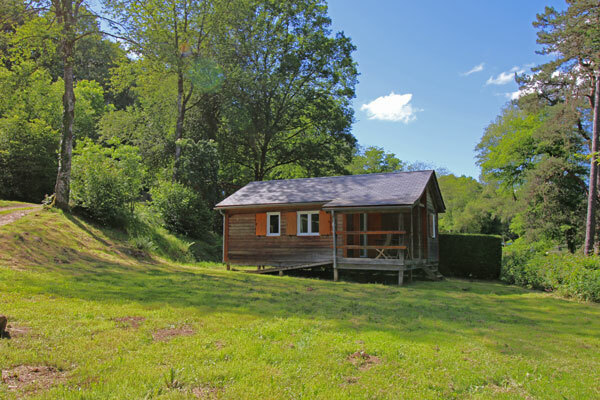 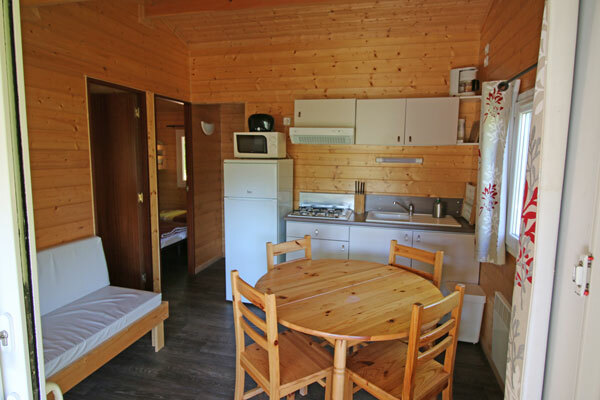 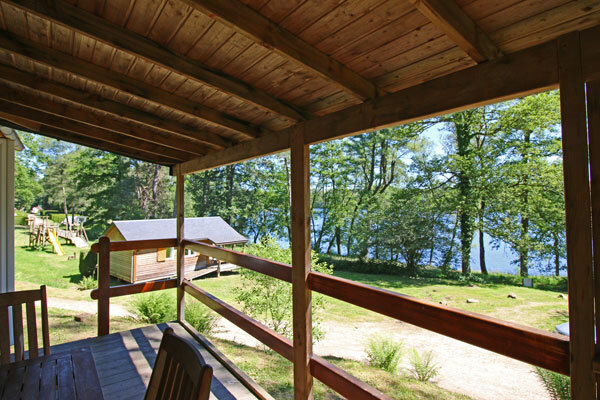 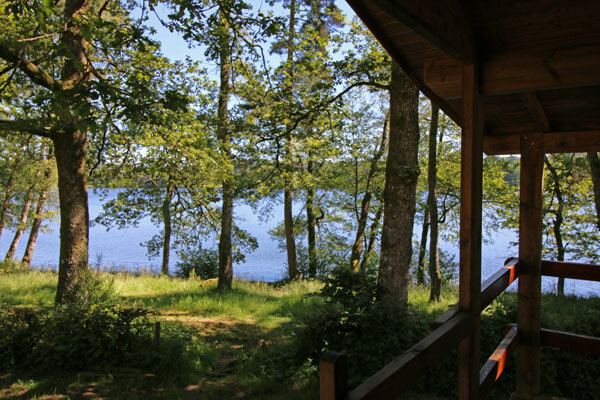 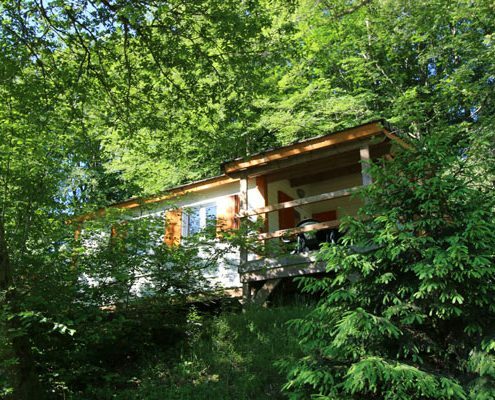 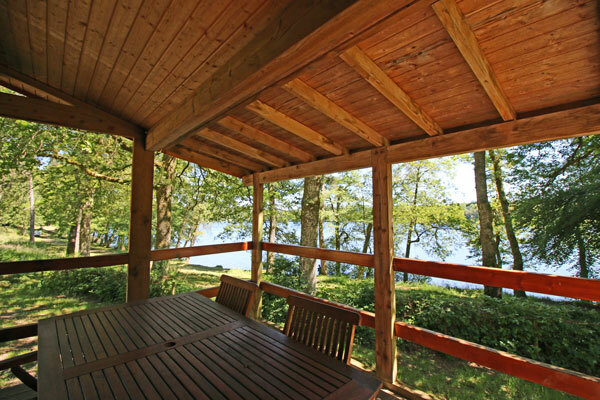 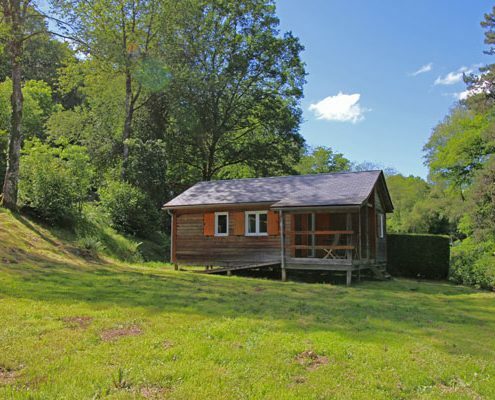 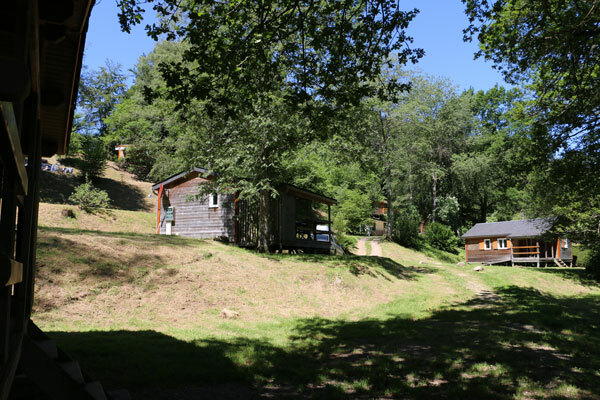 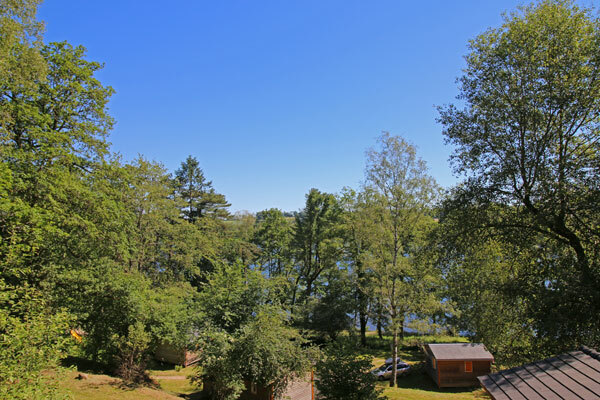 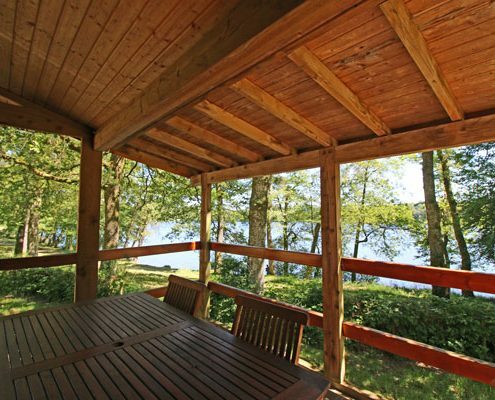 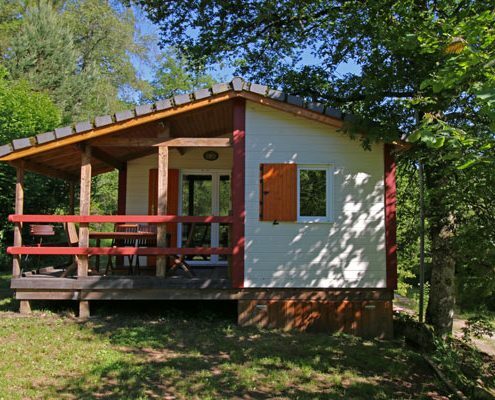 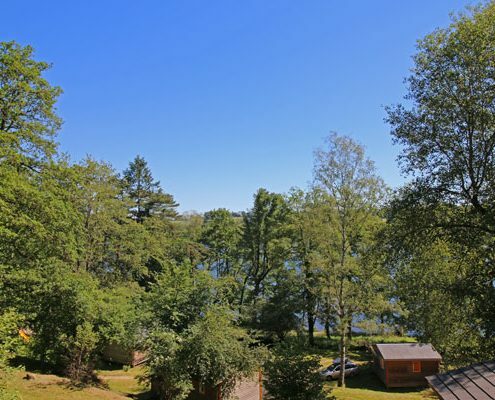 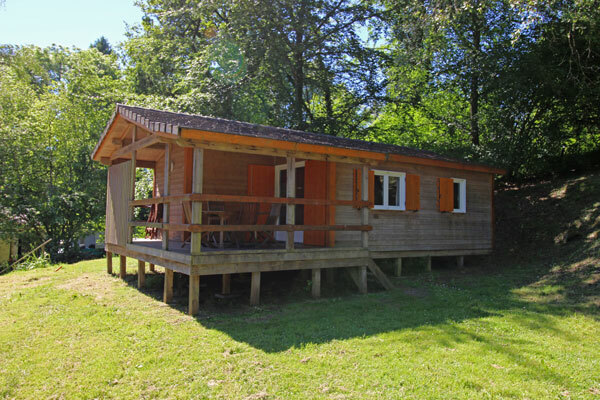 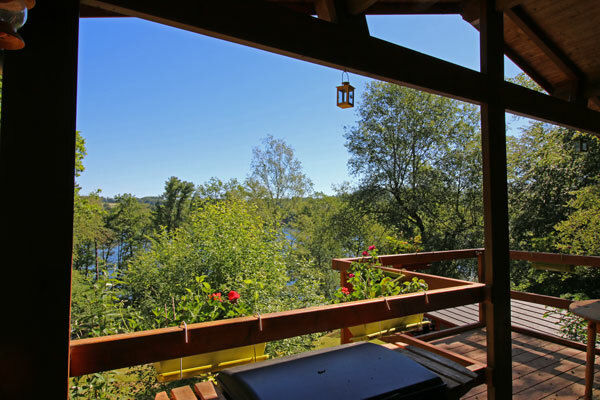 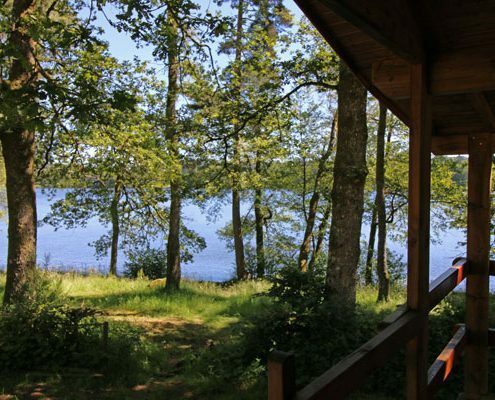 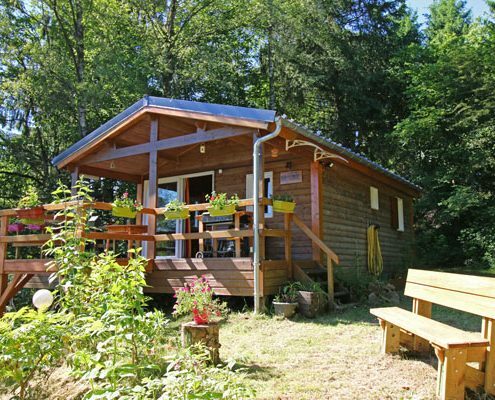 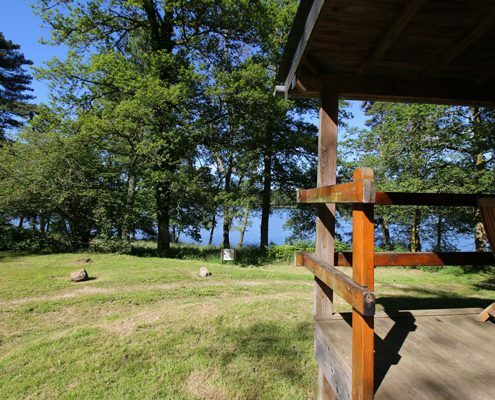 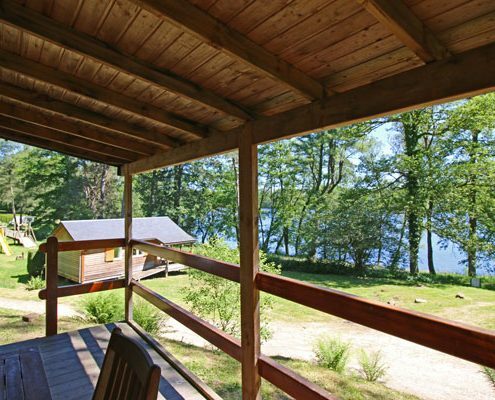 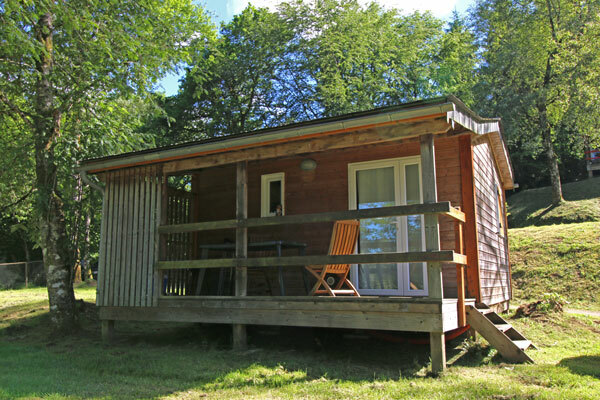 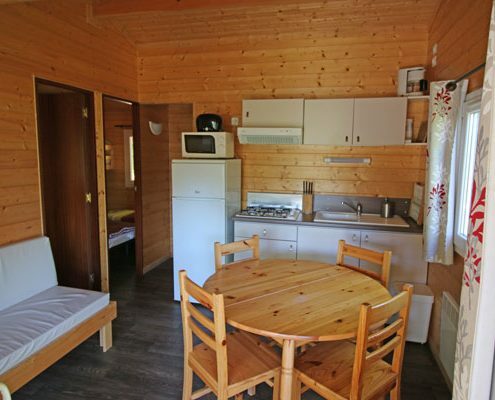 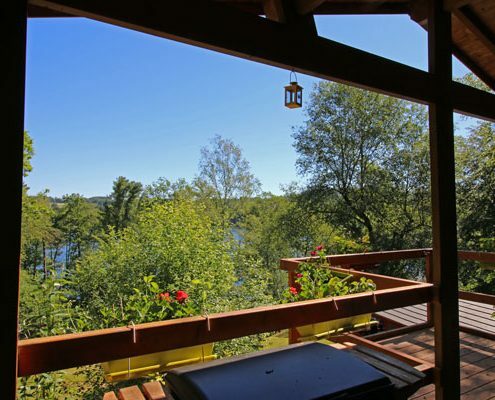 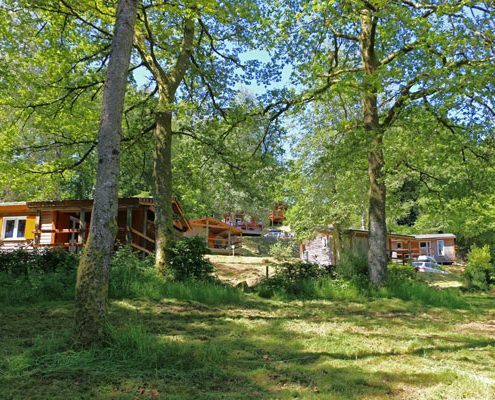 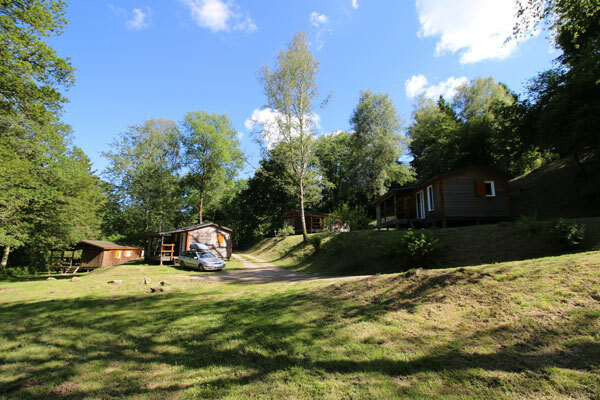 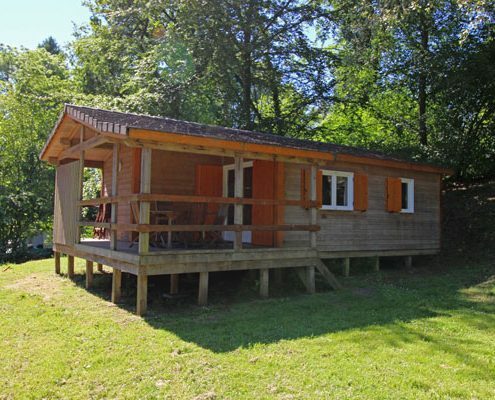 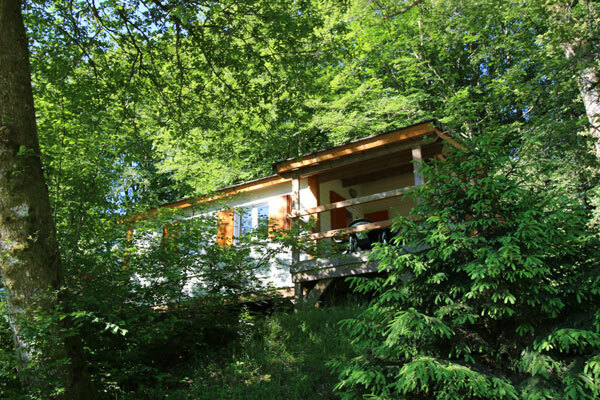 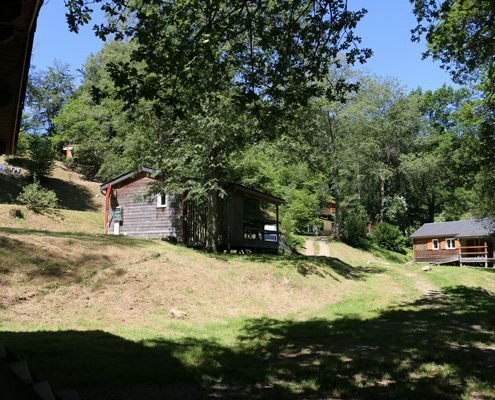 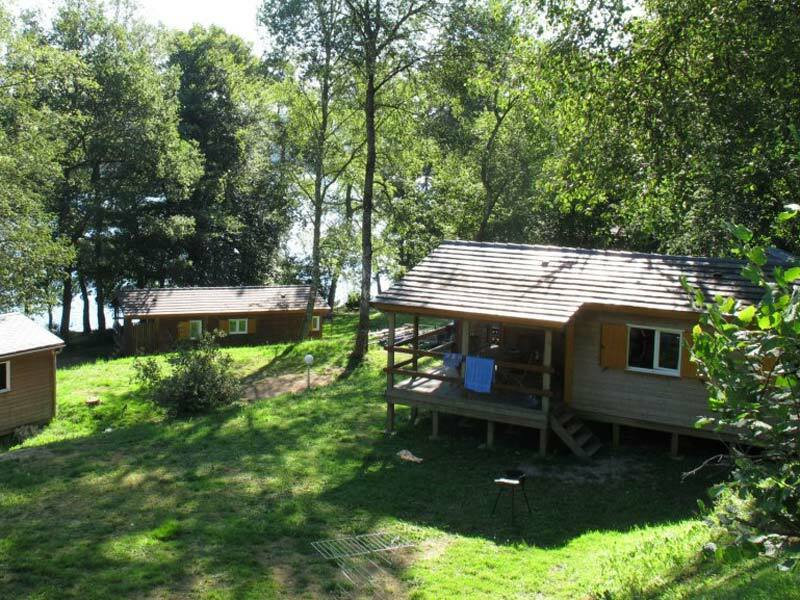 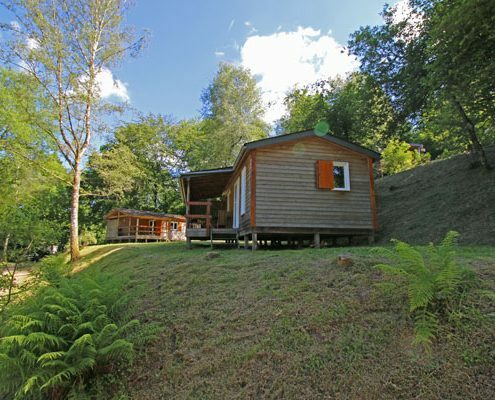 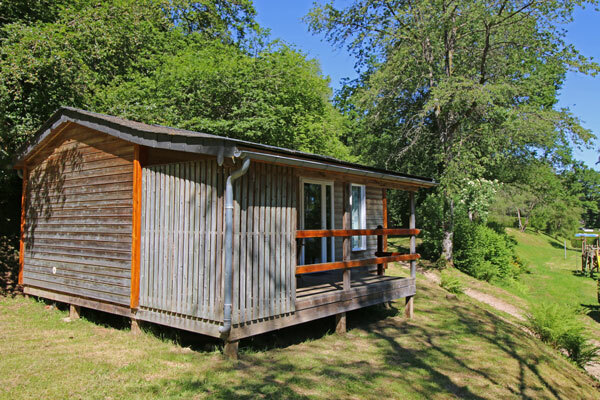 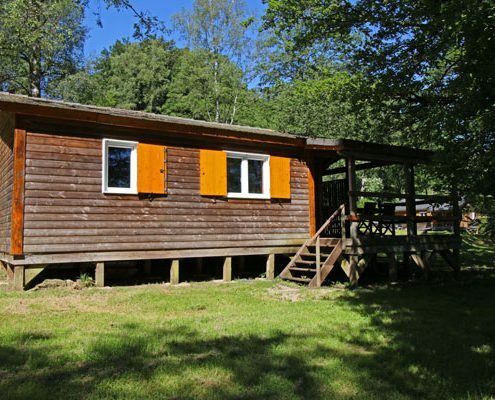 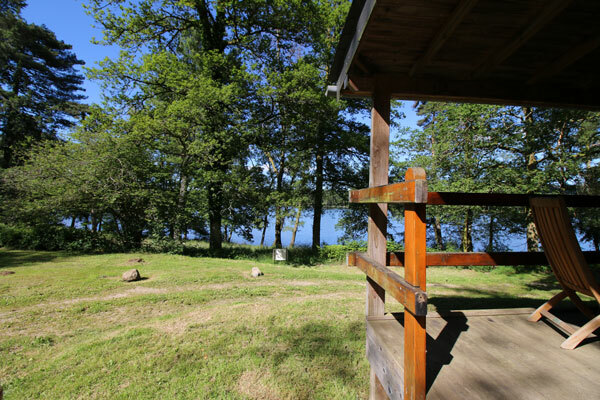 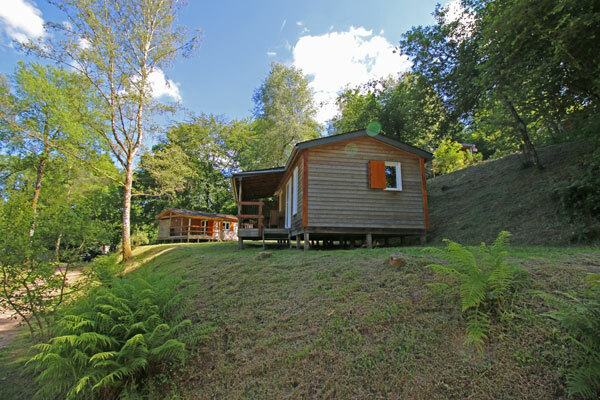 Nestled in woodland in the heart of the Morvan Natural Regional Park, with views onto Burgundy’s famous Lac des Settons, our holiday chalets are spacious, comfortable and fully equipped with everything you need for your stay. 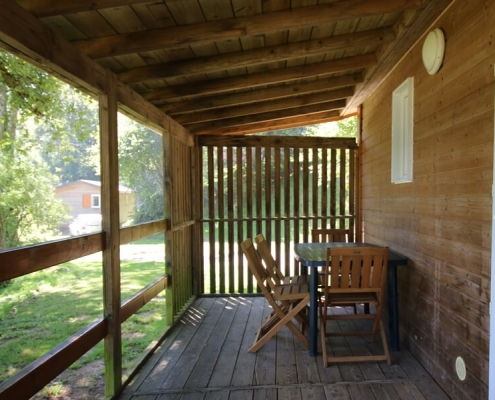 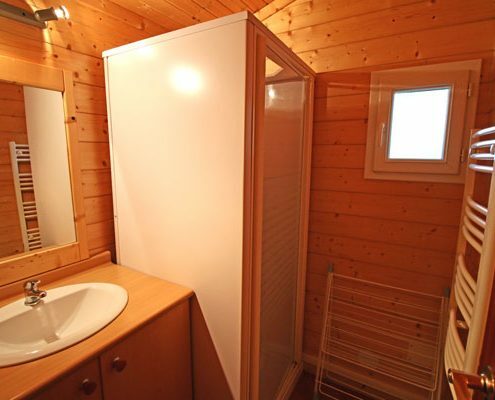 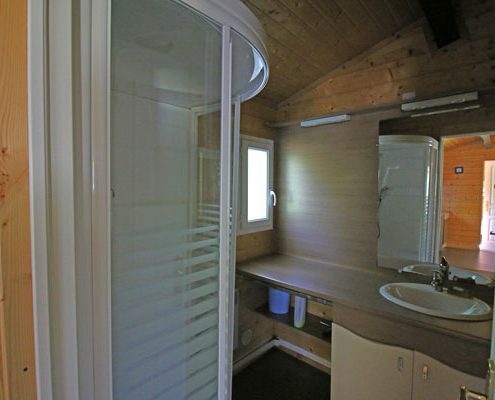 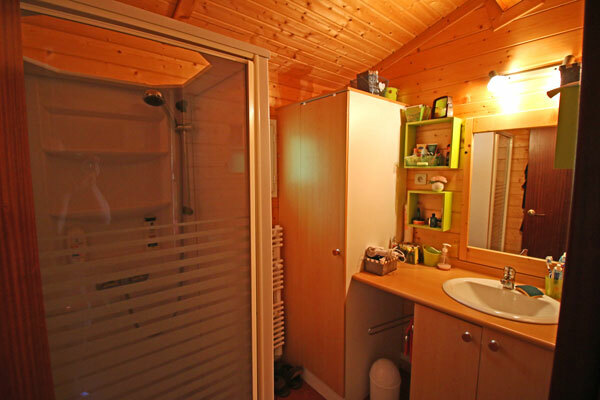 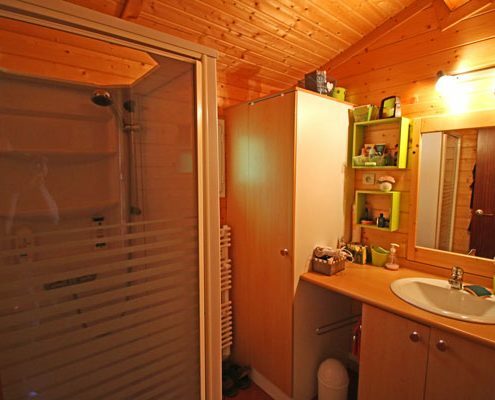 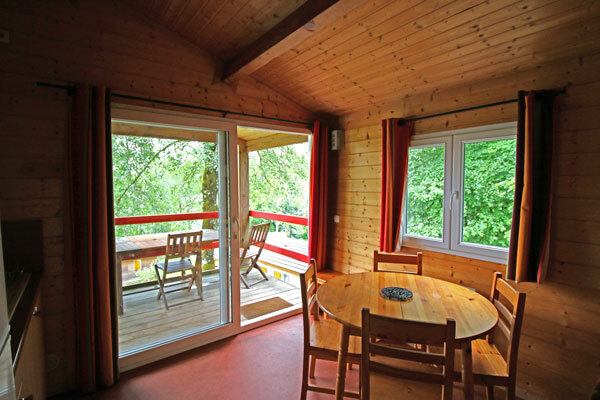 All our holiday chalets are built of genuine, solid wood, the way they’re meant to be. 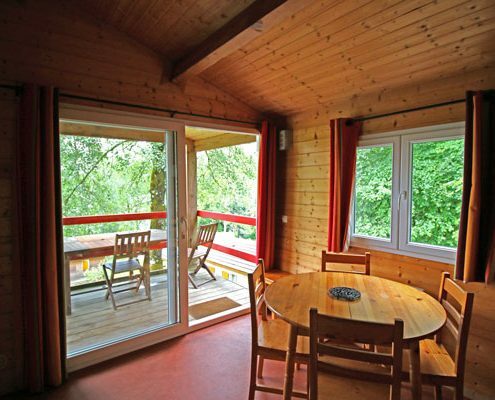 You can even smell the welcoming scent of natural wood as you walk through the front door. 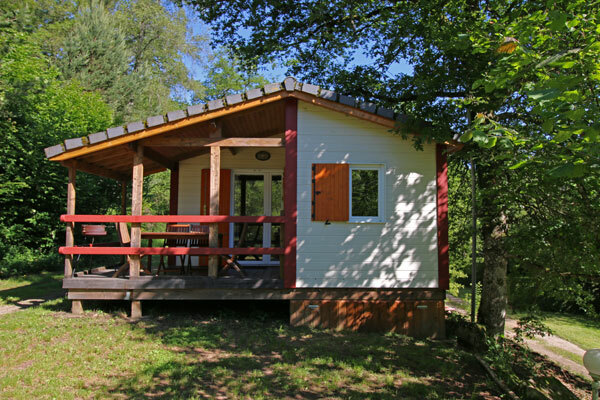 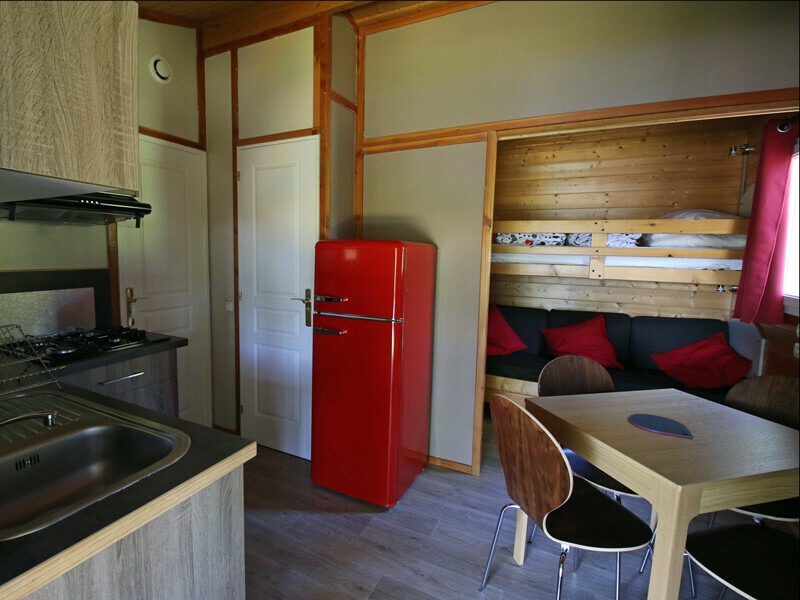 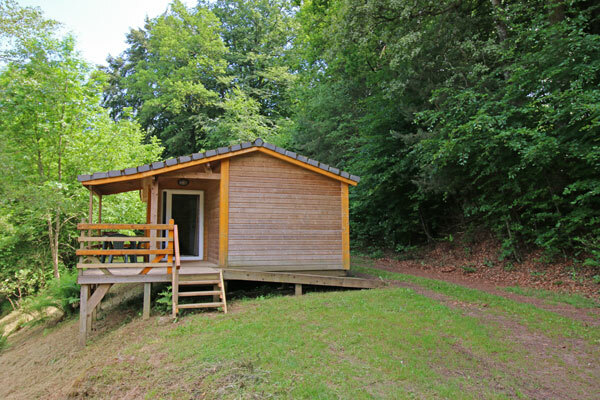 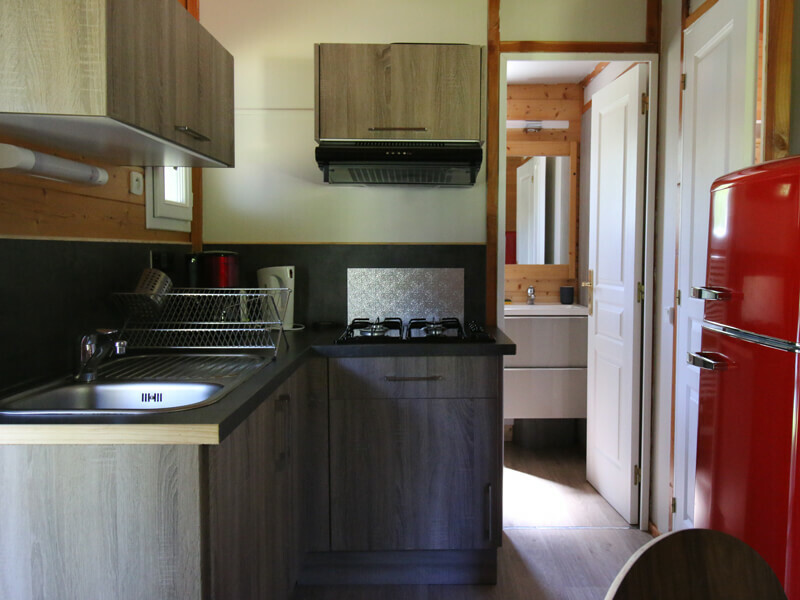 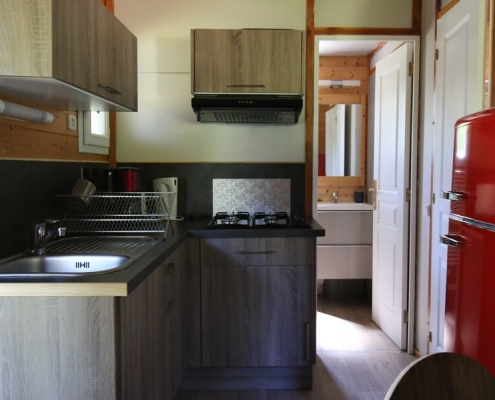 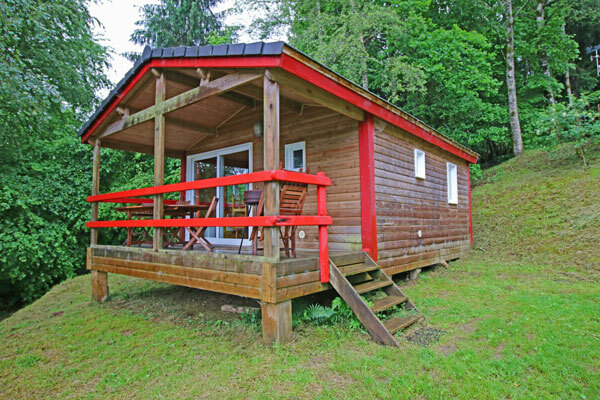 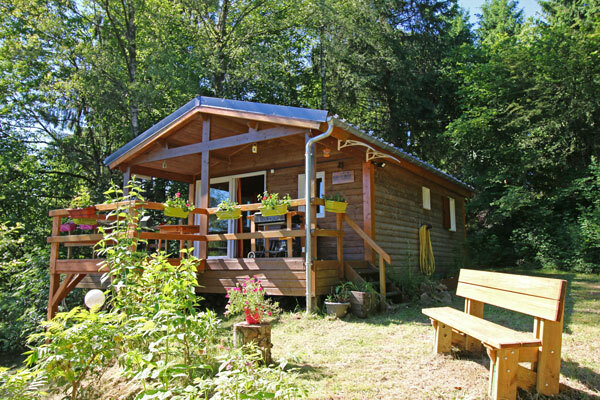 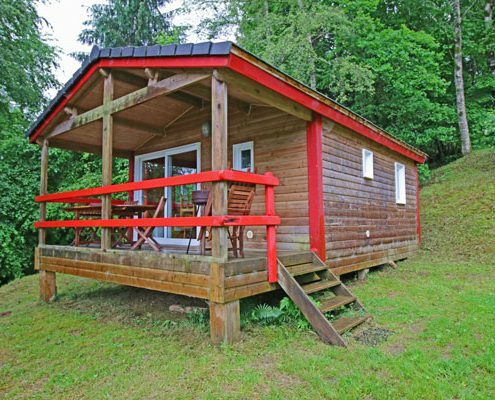 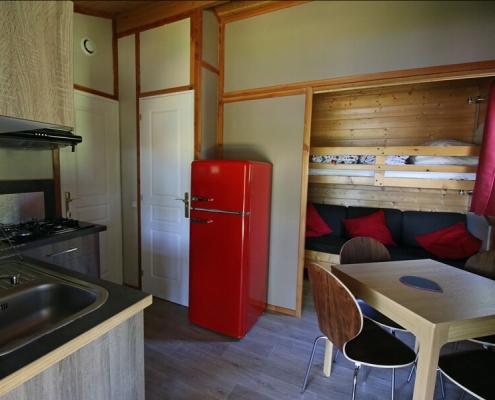 Building them with real wood ensures the chalets are cosy and warm in the autumn and cool in the summer, allowing you to experience the beauty of the Morvan and the Burgundy region all year round. 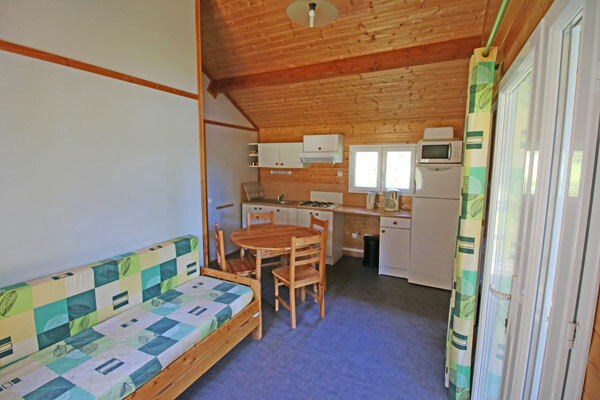 We have a range of holiday chalets available with our bigger than average models able to accomodate 5-7 people comfortably. 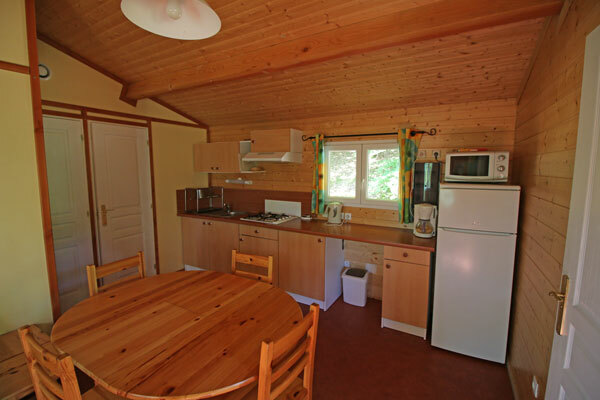 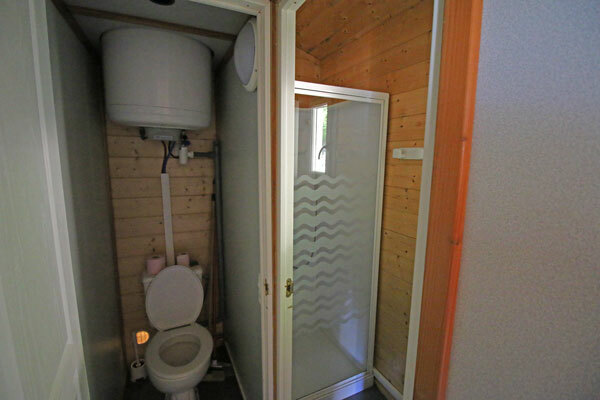 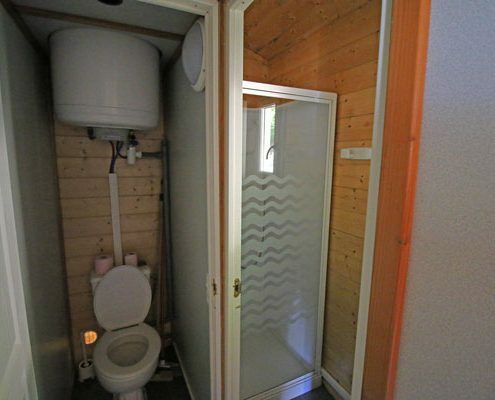 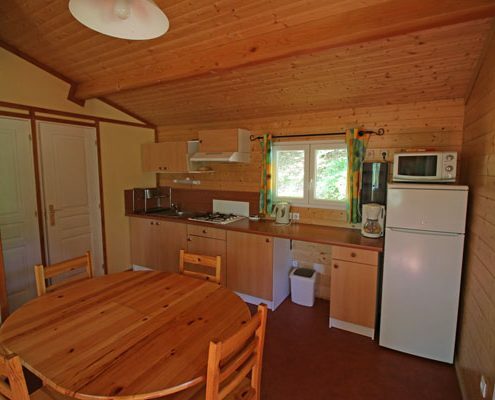 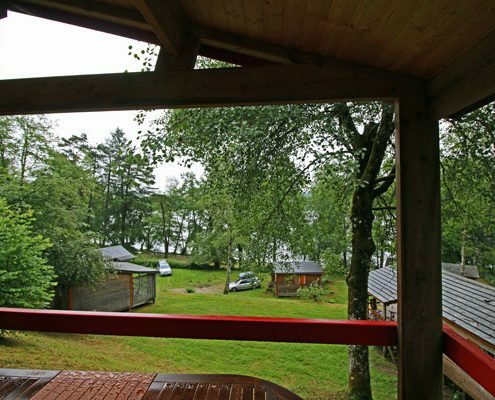 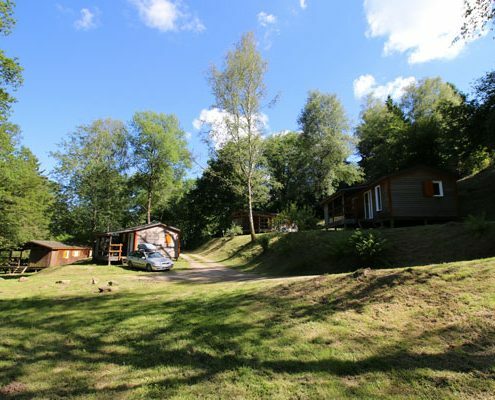 Each chalet is situated on its own plot of land and is double glazed and insulated. 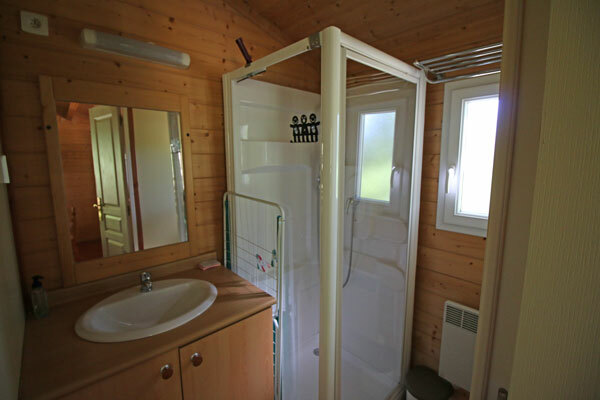 There is an open plan living and kitchen area (the kitchen is fully equipped with all the appliances and utensils you need), 1 or 2 separate bedrooms, WC and shower room. 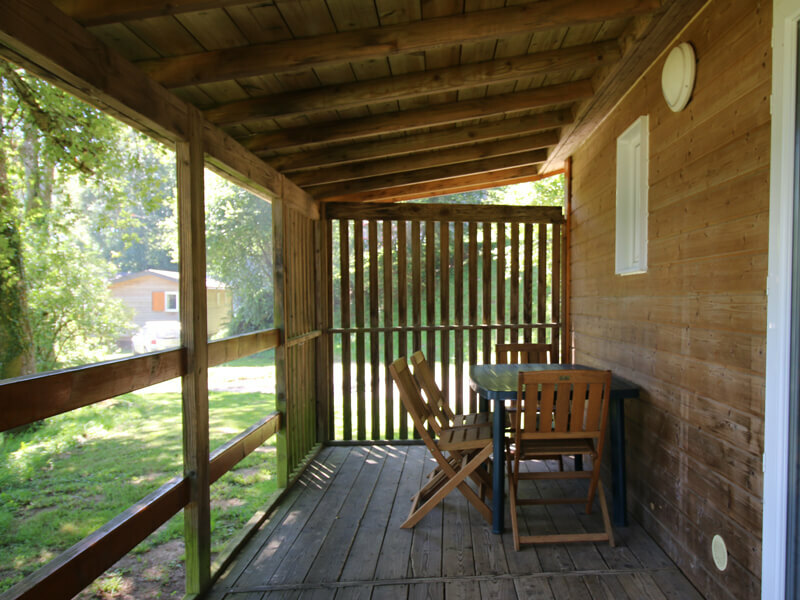 There is also a covered balcony with BBQ for outdoor dining, as well as your own private garden area. 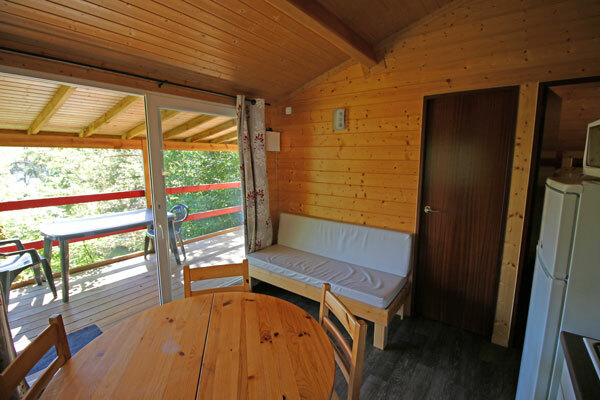 We offer different types of holiday chalets, accommodating 4, 5 or 7 people so you can choose the one that best meets your needs. 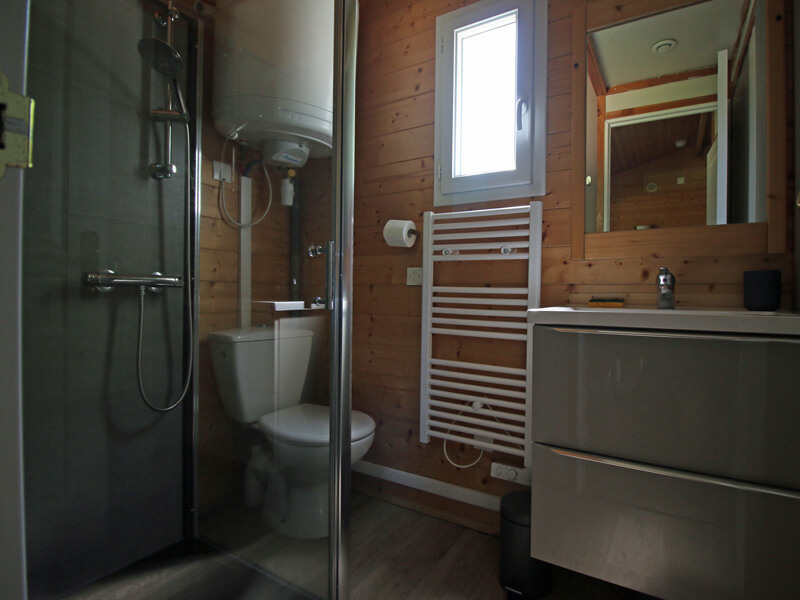 Edleweiss H1 and Edleweiss H8 are also fully accessible for those with restricted mobility. 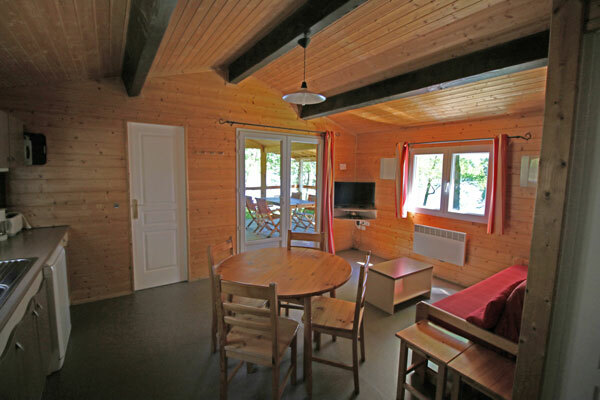 All our chalets have a TV in the living area. 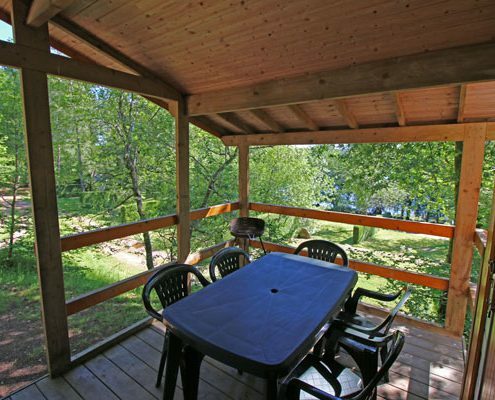 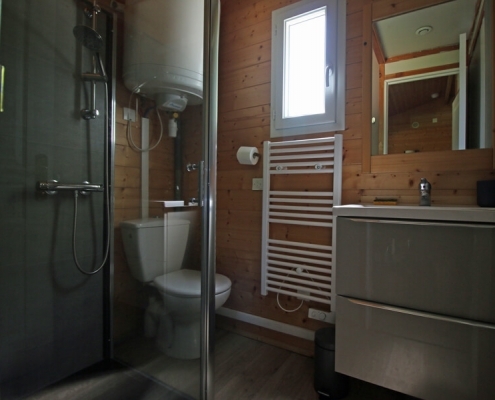 internal floor space 20m2, with an additional covered terrace of 10m2, this chalet comprises of 2 bedrooms : the first with one double bed (140 * 190), and the second with 2 single beds (80 * 190). 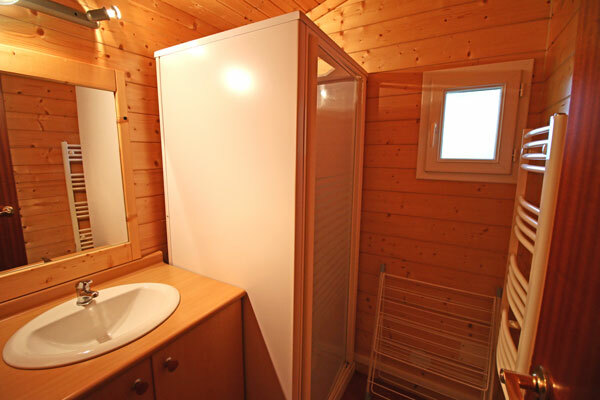 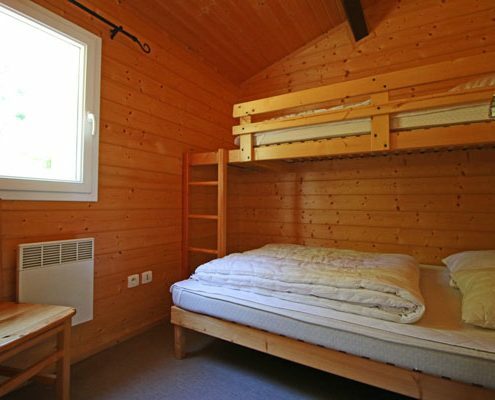 internal floor space 28m2, with an additional covered terrace of 10m2, this chalet comprises of 2 bedrooms : the first with one double bed (140 * 190), and the second with 3 single beds, one of which is a bunk bed (80 * 190). 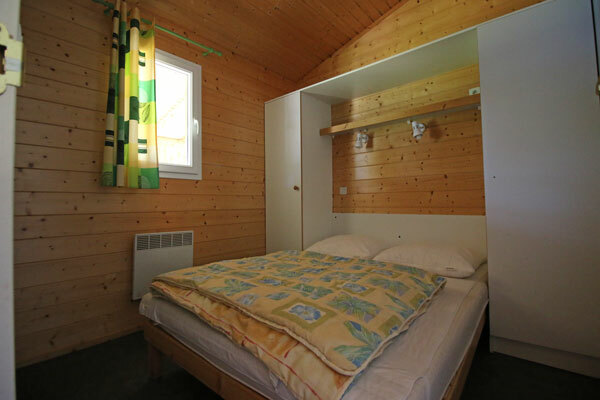 internal floor space 30m2, with an additional covered terrace of 10m2, this chalet comprises of 2 bedrooms : the first with one double bed (140 * 190), and the second with one double bed (140 * 190) and single bunk beds (80 * 190). 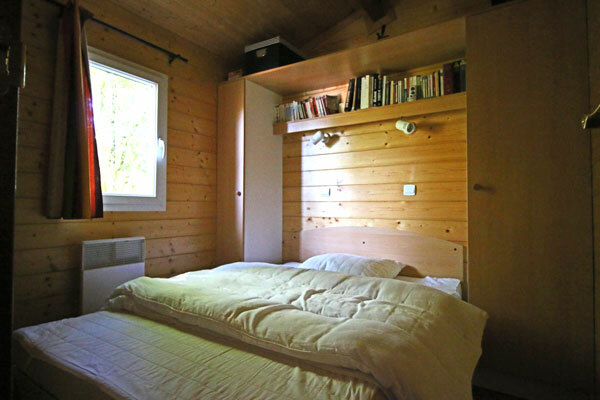 A convertible sofa also provides sleeping for two in the main living area. 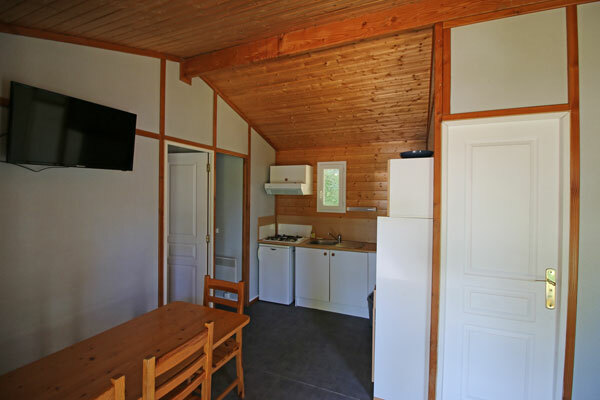 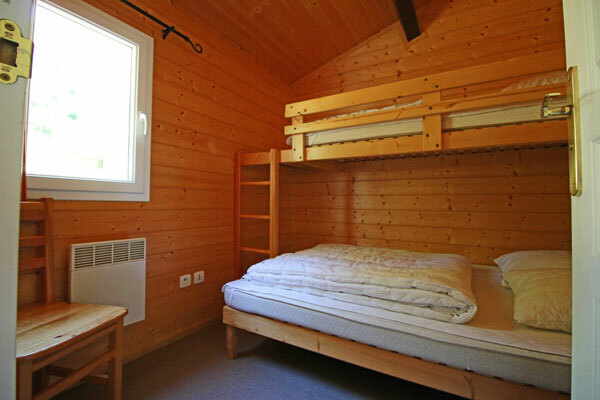 internal floor space 35m2, with an additional covered terrace of 10m2, this chalet comprises of 2 bedrooms : the first with one double bed (140 * 190), and the second with three single beds, one of which is a bunk bed (80 * 190). 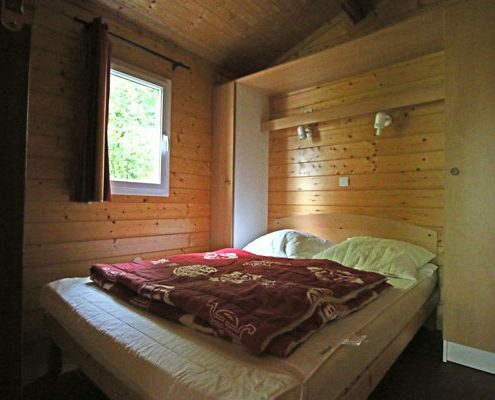 A convertible sofa also provides sleeping for two in the main living area. 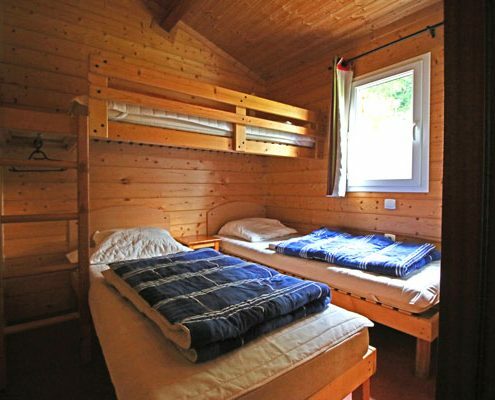 internal floor space 35m2, with an additional covered terrace of 10m2, this chalet comprises of 2 bedrooms : the first with one double bed (140 * 190), and the second with one double bed (140 * 190) and single bunk beds (80 * 190). 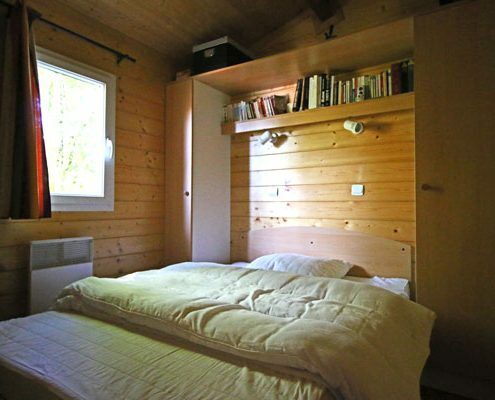 A convertible sofa also provides sleeping for two in the main living area. 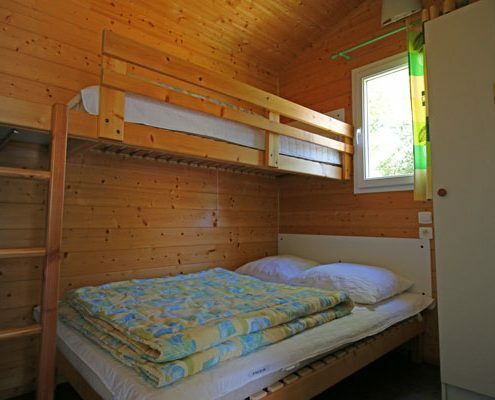 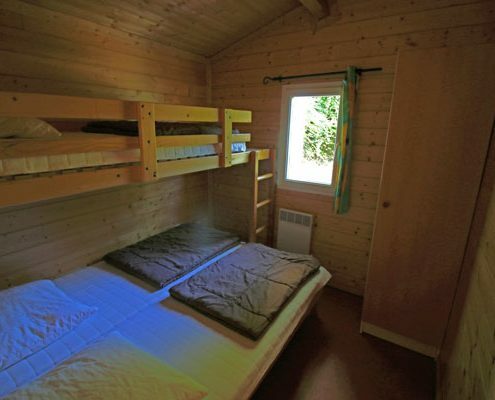 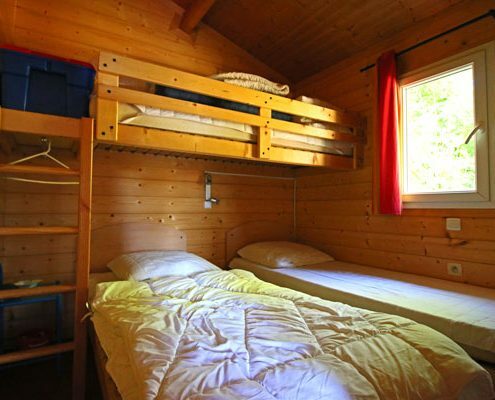 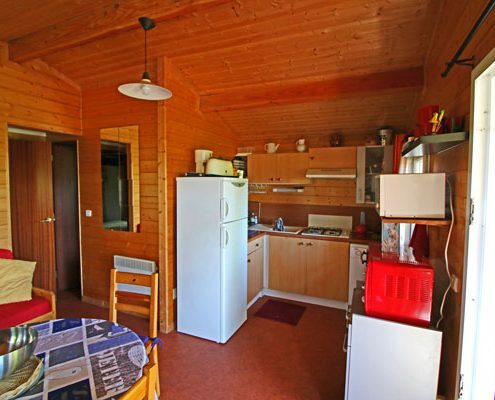 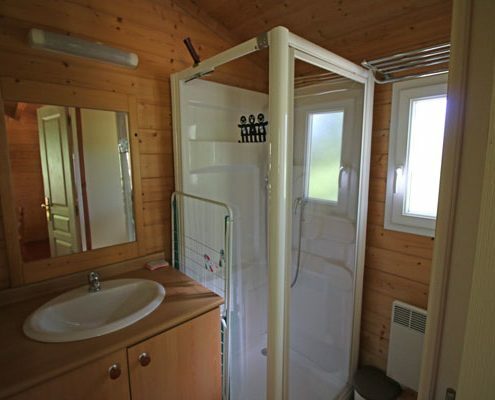 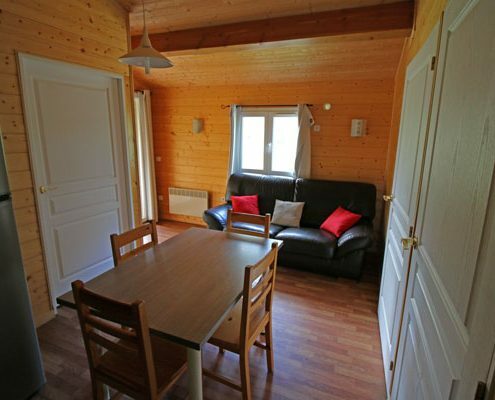 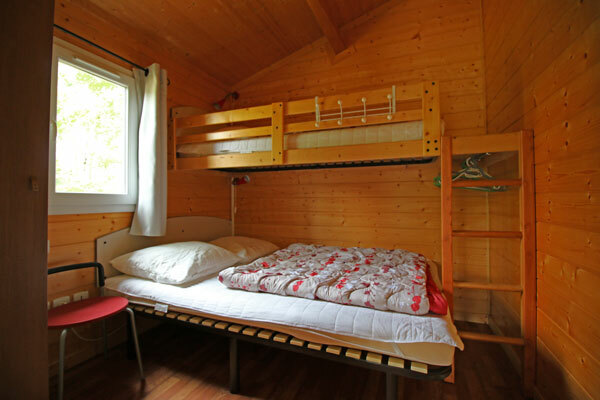 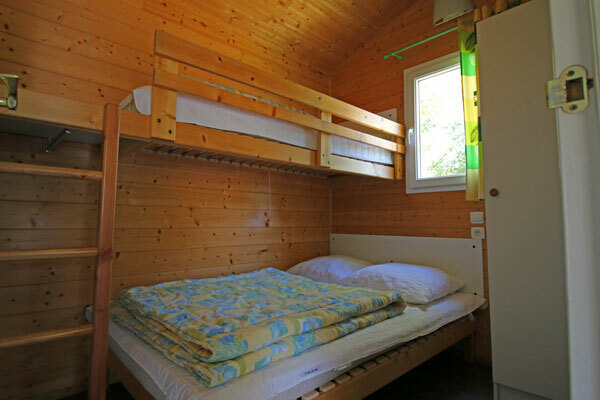 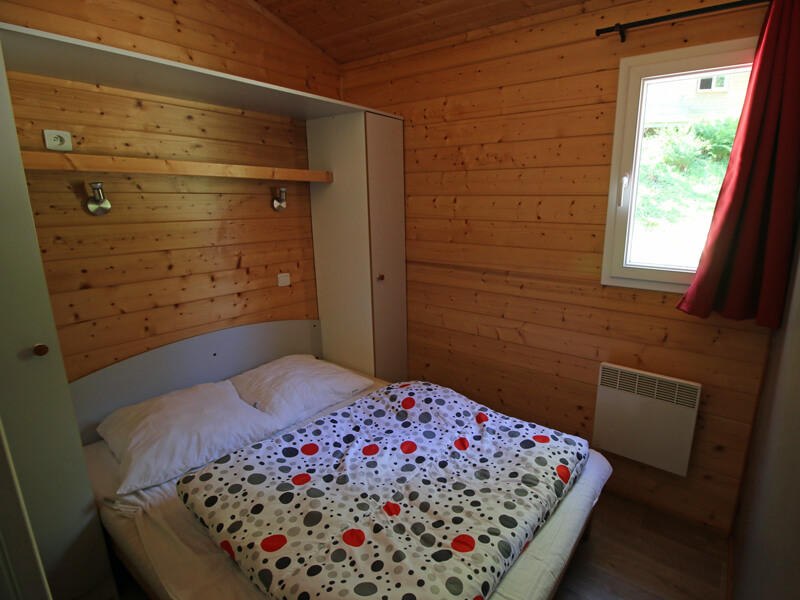 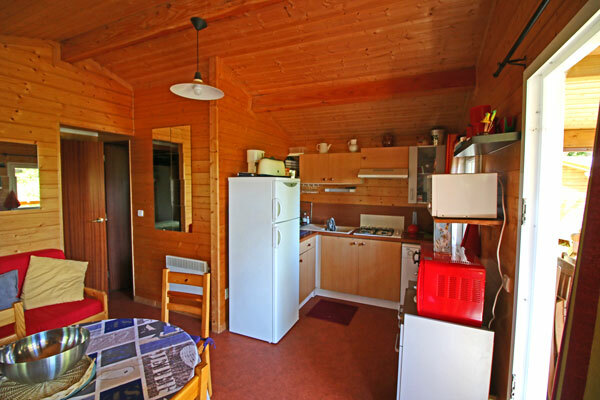 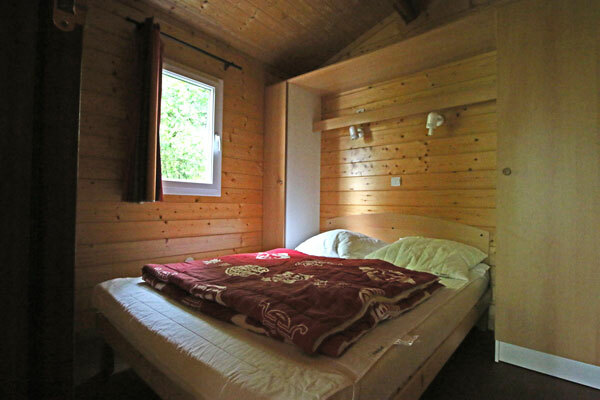 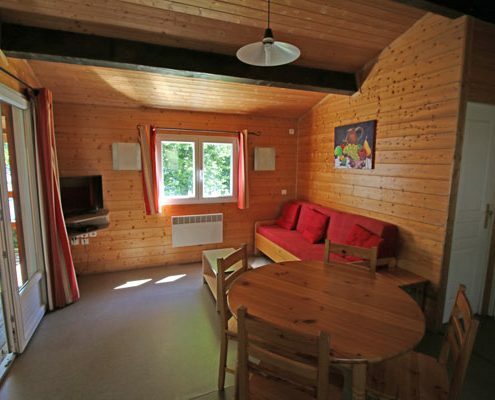 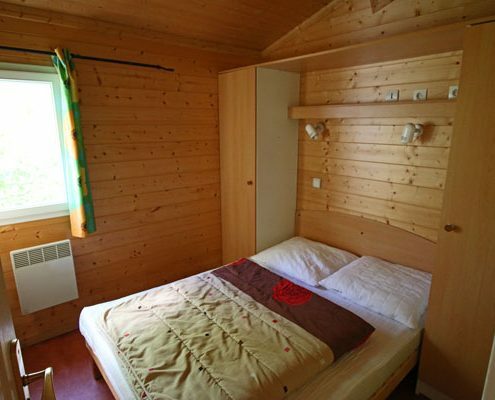 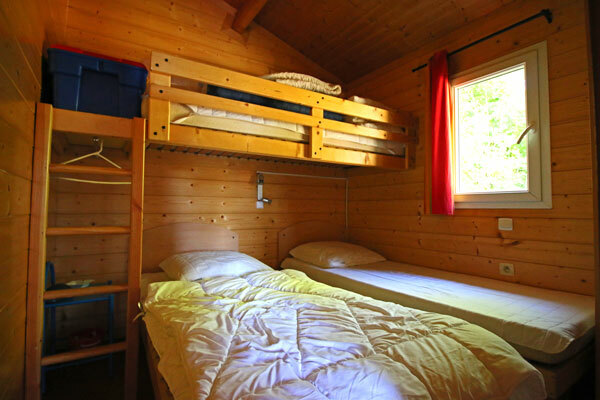 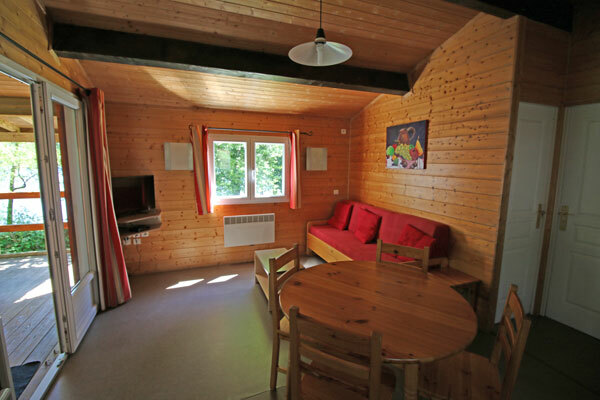 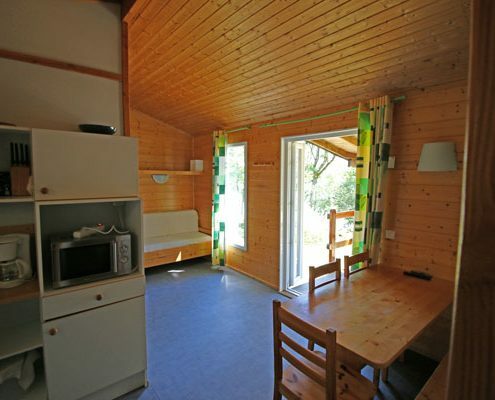 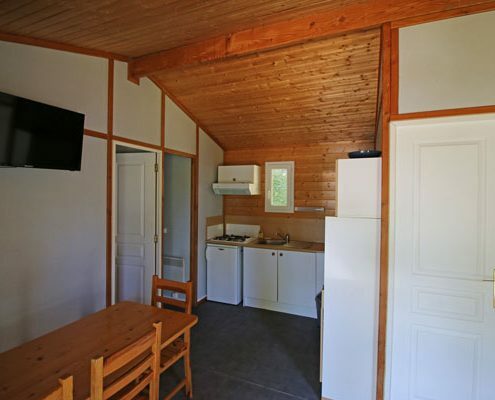 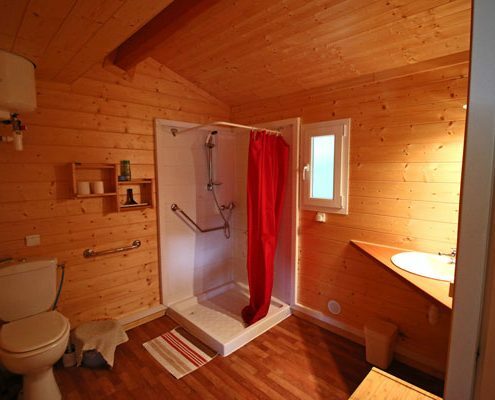 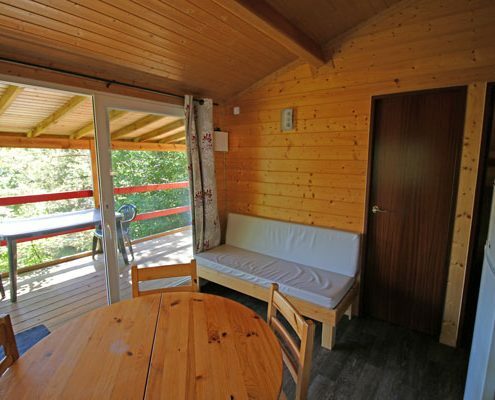 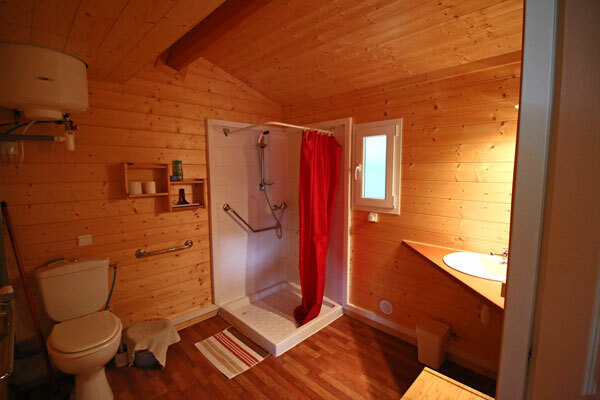 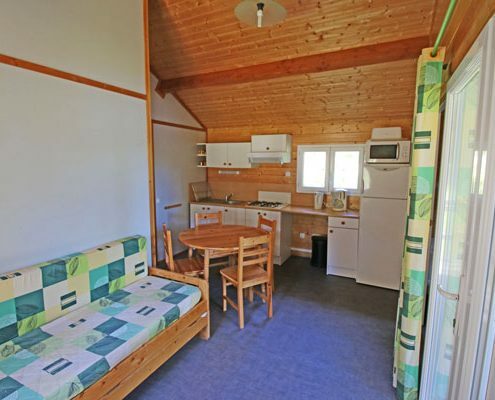 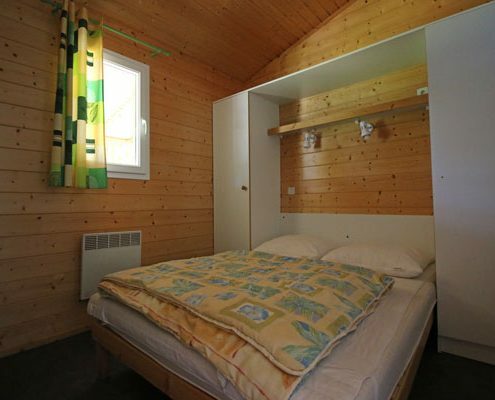 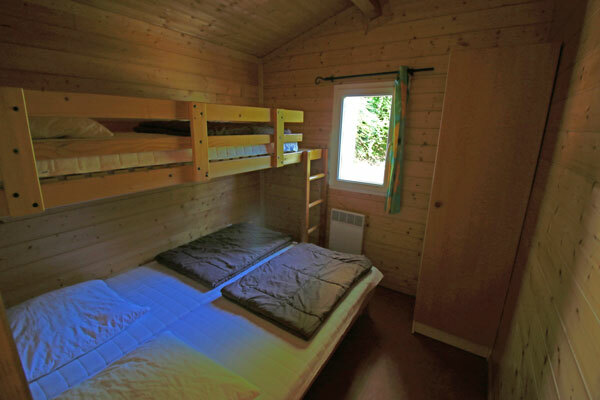 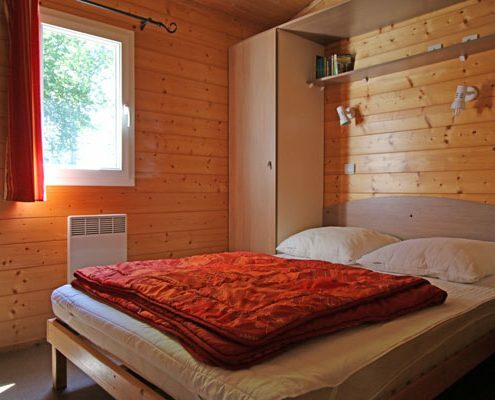 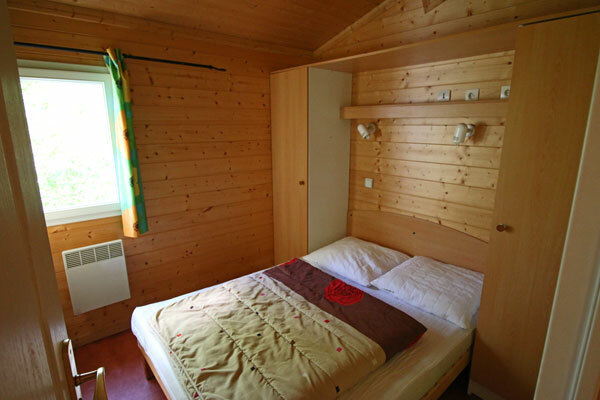 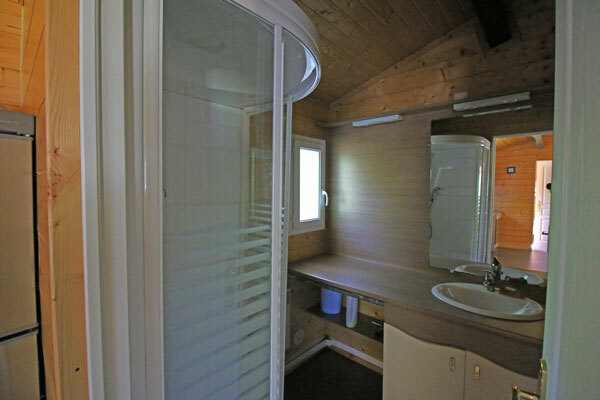 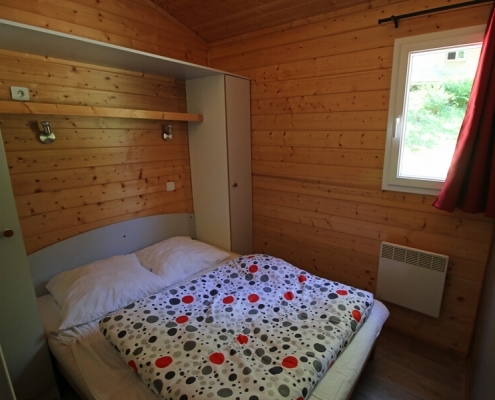 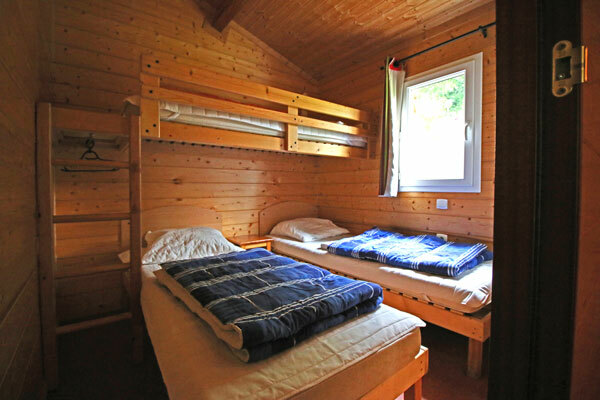 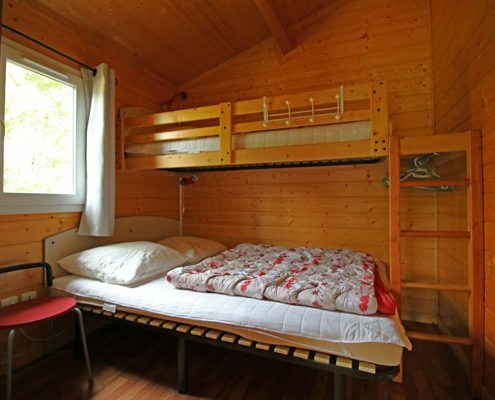 internal floor space 45m2, with an additional covered terrace of 15m2, this chalet comprises of 2 bedrooms : the first with one double bed (140 * 190), and the second with one double bed (140 * 190) and single bunk beds (80 * 190). 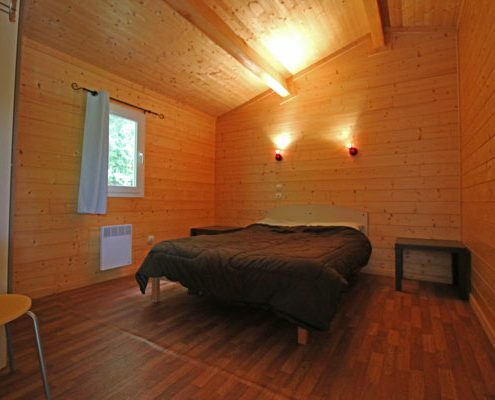 A convertible sofa also provides sleeping for two in the main living area.